So no one got burnt alive. They were all fine! See you on Monday when I will be returning to normality. Unless of course you’re going to MCM Expo, in which case I’ll see you IN PERSON tomorrow! (or Sunday). I’m on table C24 in the Comic Village. I’ll be the woman dressed as Doctor Who, wearing a tweed jacket that’s much too big. Unlike Steve, his son can hold his liquor! I thought the same about Pauline!! WHAT HO! WALKING TALKING CHEESE! I used to think she is the DEVIL! She’s so mean to Colin!!! I used to like her at the very beginning though. 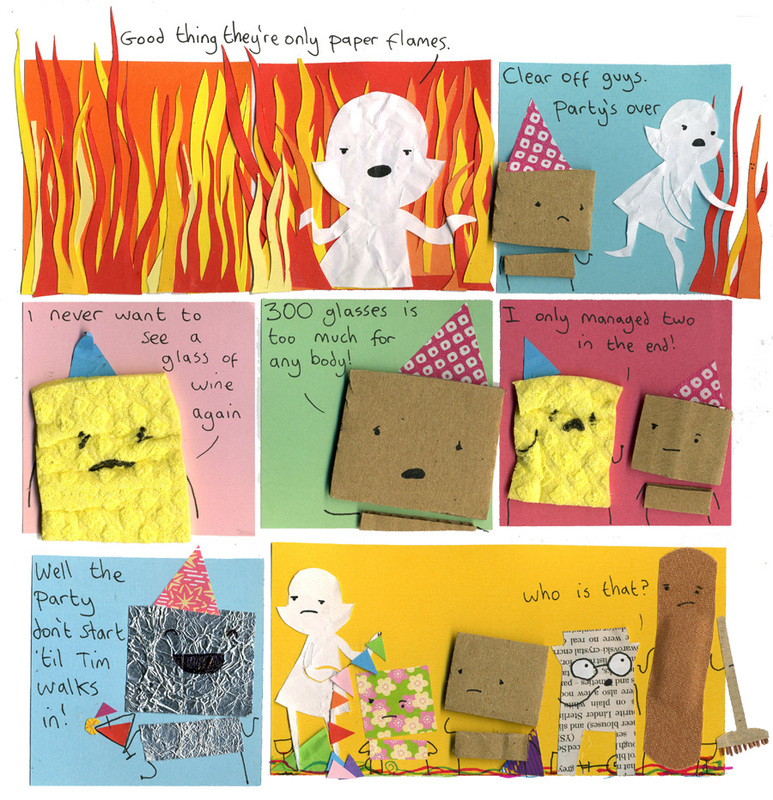 Wonder if we’ll see these new flame people again any time soon – I love their cute little faces! Pauline’s face in the first panel is pretty BA…. I can’t even begin to express how much I loved this comic! I am in complete AWE, you have such an amazing collection. Cheers! Do you really like Colin’s uncle? I mean, I’d prefer to have a nicer uncle than him. And Pauline has been becoming meaner and meaner! Can’t she be nice to Colin for once? I feel kinda bad for Steve, I mean, he only maaged 2 glasses of wine? But then again, I’m mormon and hadn’t had a glass of wine EVER so….